Micheldever Tyre and Auto Services - supply and fit exhausts and brakes for most makes & models of cars, vans & 4 x 4 vehicles. Our experts will advise on the best exhaust for your vehicle from our extensive stocks from the leading exhaust manufacturers. 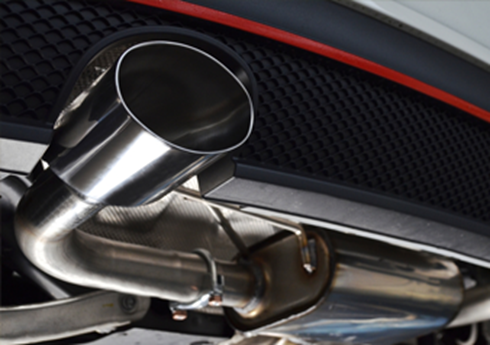 We also fit full stainless steel sport exhaust systems - for those who wish to make their vehicle look extra special. These are manufactured with a lifetime warranty for your peace of mind. Please book an appointment by calling us on: 01962 388 258. We recognise that emergencies will happen with your exhaust, so our team will be pleased to help you at anytime, just drive in and we will do our utmost to get you going. In most cases we will be able to replace your exhaust while you wait. You should check your exhaust regularly to ensure that it is working correctly - a damaged exhaust may lead to noxious fumes been drawn into your vehicle. We recommend that you have your exhaust checked professionally at least once a year - just drive in and we will make this check for you free of charge. We also provide a comprehensive range of catalytic converters. At Micheldever our experts will check your brakes free of charge. Just call in. Everyone knows that brakes are what stop your car safely. That’s why we take so much time to train our brakes specialists – your safety is important to us. We fit brakes from leading manufacturers, such as Unipart and Apec, so you can be confident as you drive. 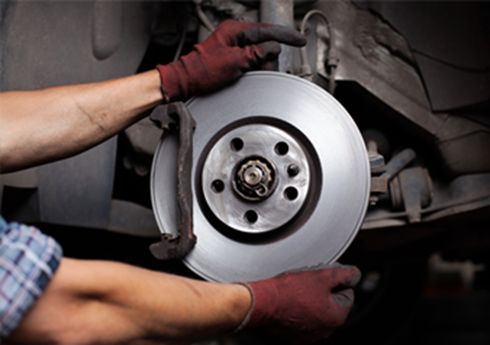 It is important that you have your brakes checked regularly. Brakes will wear faster when you are driving in town rather than on long motorway journeys. Call in today and have your brakes checked, we will be pleased to do this free of charge when we check your tyres for you.